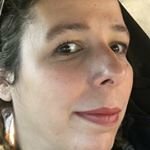 NYC freelance photographer - I believe beauty comes in all ages, shapes and sizes. Love, love LOVE this serum... my sister has given me this twice so far and one little vat goes a long way. It adds moisture without adding grease, and you can bring it up to your under eyes. 5/5 would recommend. This used to be my go to cleansing water. The price is always right, the ingredients are not sensitizing, and you can always find it at the local drugstore, but it’s been edged out by Vichy, the Bioderma and the Laroche Posay. I love this, and that I can find this micellar water in a jumbo size at my local drugstore (it’s $20, but it’s a full liter). I use it as my only morning cleanse, and, if I’m out of cleansing balm, as my first cleanse in the evening... definitely in my micellar rotation at the moment. Got this product in a voxbox, smelled SO GOOD, did not mind having to reapply. Will definitely repurchase. It tastes good, but for what it is, a pasta sauce in a jar, it’s expensive. I got one in a voxbox and I subsequently bought one with a coupon, I can’t tell the difference between this and the organic store brand at stop n shop. My favorite super market brand flat bagel... I still have to admit, I prefer going to the bagel shop to get a few bagels for the week. I can’t... you know what animal raisins remind you of... ewww. Can we just have a cinnamon- honey bagel? This brush is a great value. I use it to buff out my powders so that there are no harsh lines on my face. The brush is so good, it doesn’t even need a finishing powder... it rivals my it cosmetics brush. This brush has just the right amount of precision and firmness for gel liner (or brows, if that’s what you use it for) I can’t compare it to another brush, since it’s the only flag liner brush I own, but I am very satisfied with the look I get from it.